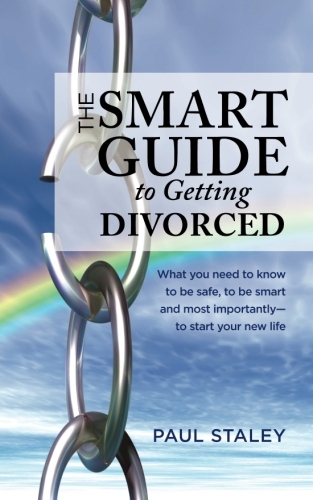 Divorce – What are your options and choices? The breakup of a relationship is extraordinarily difficult on you, both emotionally and financially, for grown ups and children alike. But, my clients can and do survive separation and divorce. I find most of my clients just want to be done with this part of their lives so they can move on. The legal issues that arise at this time are complex and important,and timing is everything.What path you choose to move ahead will powerfully effect child custody, the break up of the assets and most importantly the relationship with your children. Not everyone needs the same solutions. There are no cookie cutter legal solutions in family law. You are well served to take a moment and think about what will work for you. Some couples resolve their divorce issues without a lawyer or any other professional for that matter. Others engage in drawn-out battles that add to the emotional and financial costs of divorce. I find most of my clients needs met between the two ends of this spectrum. Mediation –A mediator is someone who remains neutral and meets with both parties to assist them in reaching their own agreement. Minimum legal involvement – You manage your divorce making use of a lawyer on an “as needed” basis for help in drafting agreements and other documents. Lawyer negotiated – Each party hires a lawyer. The lawyer represents you and takes instructions from you. The lawyer’s job is to give you sound legal advice. The lawyer advocates for you and you alone, whether it be to negotiate a settlement on your behalf or to litigate at trial. No one wants to contact a divorce attorney. But, you need to know about possible obligations you may have in the event of a separation or divorce. These obligations and rights may be significant, and without professional advice, you may be unaware of them. These rights and obligations may include, division of property and pensions, alimony, and child support. I have seen this family law litigants that are sometimes anxious to reach an agreement with a spouse regarding their rights and obligations, and enter into such agreements without understanding of what they are doing. They mean well,and it is understandable that they just want to move on. It could be something as simple as agreeing on the date of separation, which under California law could affect either spouse’s right to a part of the other’s pension. The list of possible issues that could be missed is staggering. Sometimes this well intention decision comes back later. It is easy to fix things at the start, it is not so easy to undo legal what has been agreed on and committed to. As I mentioned in the above paragraph there are legal options you can chose. You should ask yourself, “What is the best choice for me?” Consider these 5 questions in assisting you in your decision as to which choice is best for you. Are you and your partner likely to approach the issues respectfully? Is it important for you to keep open the possibility of future friendship with your partner? Do you have children and will you be co-parenting with your partner? Do you and your partner have the same circle of friends or extended family in common that you both want to stay connected to? Do you want to make your own decisions as to what is best for your family or will it be necessary to have some other person, such as judge, to make the decisions for you? Considering these issues gives you a clearer picture on how you would like your separation to precede. Then you can find a solution that works for you. If I can help you call us.I am one of the only divorce lawyer in San Diego that charge fixed fees. My clients seem to be happier and I am happier.